Irving, Texas — The Plastics Pipe Institute, Inc. (PPI), announced a new Continuing Education Unit-style course about design, installation and specification of high-density polyethylene (HDPE) conduit and duct. “Selecting & Specifying HDPE Conduit for Power and Communications Applications” can be downloaded free from the PPI website. PPI is the major trade association representing all segments of the plastic pipe industry. 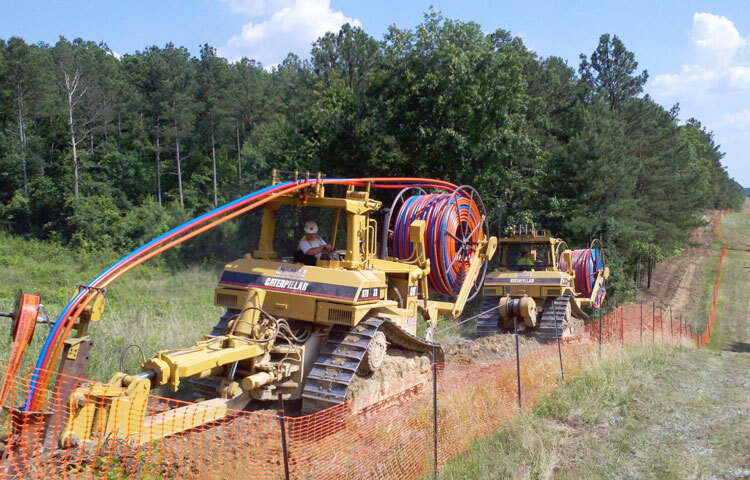 This one-hour course provides guidance to designers and specifiers of nonmetallic raceway (polymer conduit) for power and communications projects when selecting and specifying HDPE conduit products. The course discusses product capabilities and benefits, common applications, typical installation techniques, and the latest industry standards. In addition, the course describes how to make the best use of recent PPI publications PPI TN-50 Guide to Specifying HDPE Conduit and PPI MS-5 Model Specification for HDPE Solid Wall Conduit for Power and Communications Applications. HDPE conduit, also known as PE conduit, is the preferred material to house and protect electrical power and communications cables in typical applications such as fiber optic, power utilities, telecommunications, CATV, SCADA, FTTH, ITS, highway lighting, and other underground utilities. Benefits of HDPE conduit, according to PPI, include availability in long lengths without joints, high strength, flexibility, proven reliability and installation toughness. PE conduit, including Cable in Conduit (CIC), is widely used in trenching, horizontal directional drilling (HDD) and plowing installation methods. The course can be downloaded for free from PPI’s website, on the Power & Communications Division Education page at https://plasticpipe.org/power-comm/pcd-presentations.html. To request an in-person or web-based delivery of the course, requests should be sent to PPI though the Contact page https://plasticpipe.org/power-comm/pcd-contact.html. Additional information can be found at www.plasticpipe.org/power-comm.